Yes, hitters can build consistent explosive rotational power into their swings by learning from tennis players and baseball pitching athletes. CLICK HERE to check out this “Pitching Instruction Secrets for Hitters” video post I did featuring 2014 World Series MVP Madison Bumgarner. 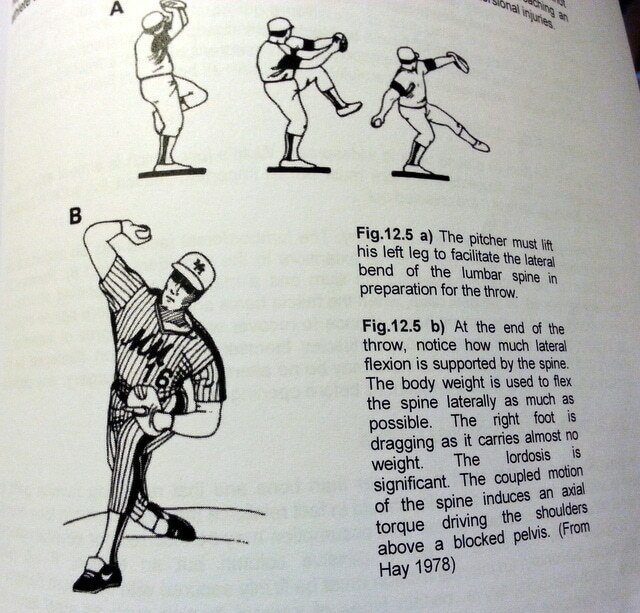 Axial Rotation – this is the shoulders rotating opposite the pelvis. Think of this as torque or how a gear box works. Going into axial rotation to hit the ball, watch how both elbows move counter-clockwise, at the same time, and on the same plane with the shot. 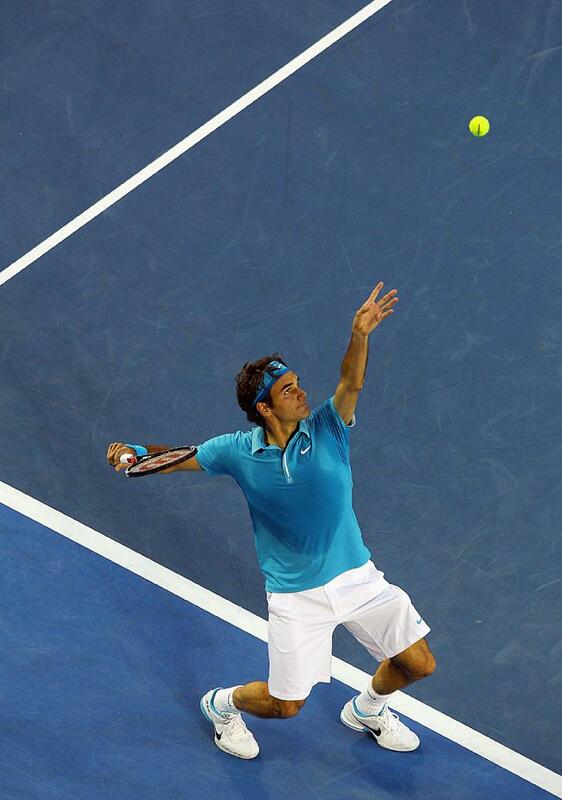 One of the key differences to hitting is the shoulder angle (lateral bend). Hitters need to move the front shoulder slightly down to hit the ball up. 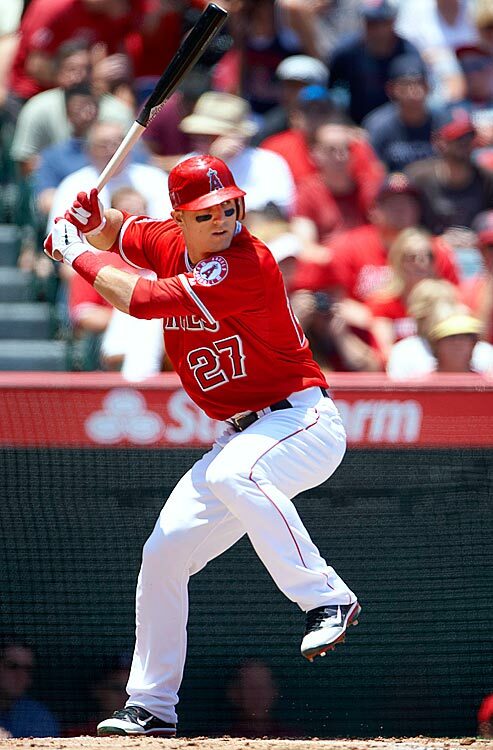 I get this with my hitters by cuing them to raise the back elbow at or above the top hand (see Trout photo above). 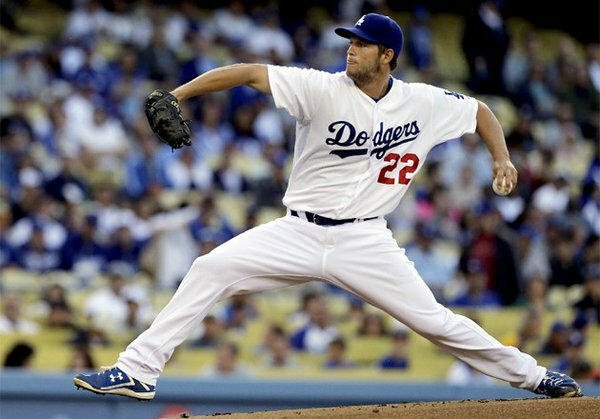 Whereas baseball pitching athletes, like 2014 NL Cy Young and MVP Award winner Clayton Kershaw, and Roger Federer need to angle the front shoulder up before throwing or hitting the ball down. The Rotational Risk Hiding In Your Players' Swing? Joey … it always amazes me how you can present the information you do in such a short time, and make it simple to understand at the same time. This is such a huge subject in itself, that you could spend 4 hours talking about it instead of 4 minutes, but you’ve done a great job of getting to the heart of what top athletes do to explode like they do. I challenge anyone to try and hit a baseball efficiently by doing something other than what you are saying to do in this piece. If they go against these movement principles, they will meet with limited success … and/or injure themselves. It is a challenge to “stuff” as much information (4-hours worth) into a 5-minute video. This one was a beast to do. I try and keep them to 3-4 minutes, but this one took on a life of its own. You can’t fight human movement science Bob 😀 Although people try, but are left deleting their comments in the aftermath (true story on a few of my Facebook posts!!). By the way, Dave left a comment for you on the Alex Gordon post.